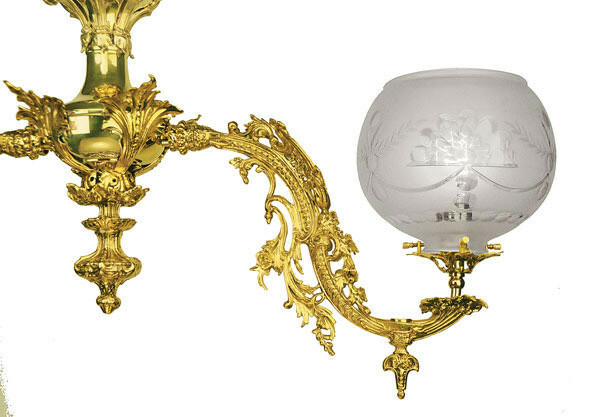 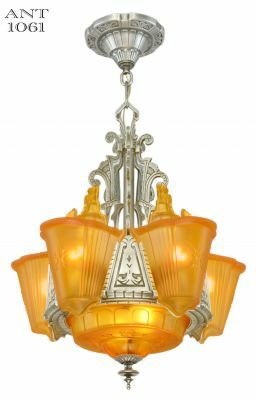 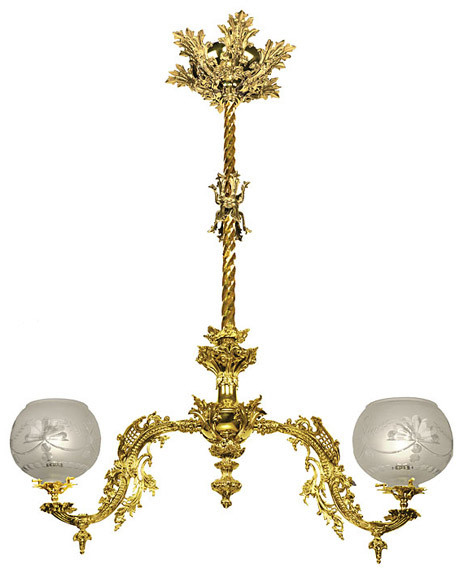 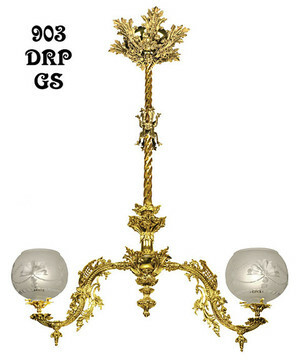 Circa 1857 two arm pendant chandelier was designed by Starr-Fellows, one of the finest producers of the day. 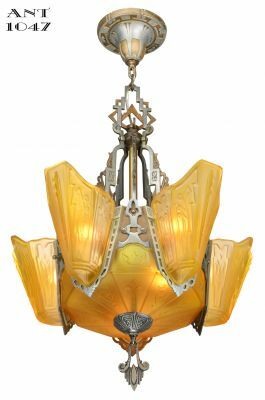 Arms vary just slightly in design from other lights in the Starr-Fellow series. 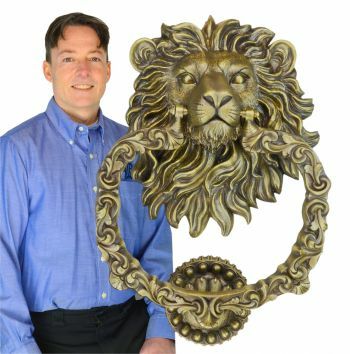 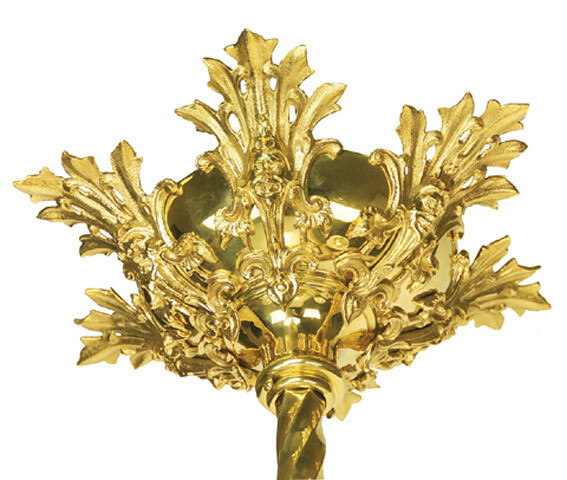 Our authentic reproduction is top quality brass, left unlacquered for a natural finish, or we can customize the finish to blend with antique brass finishes you may own. 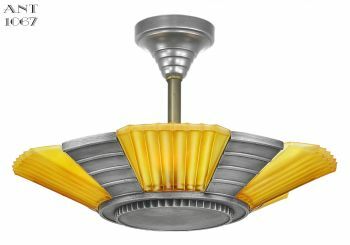 Wt: 20 lbs without the shades. 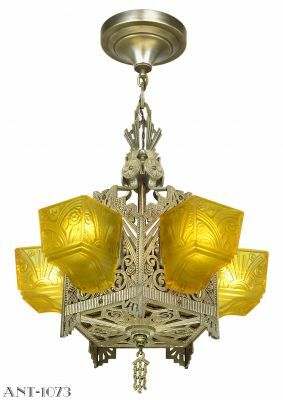 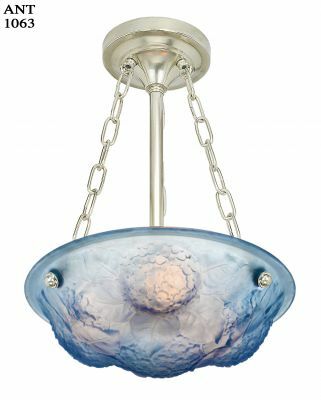 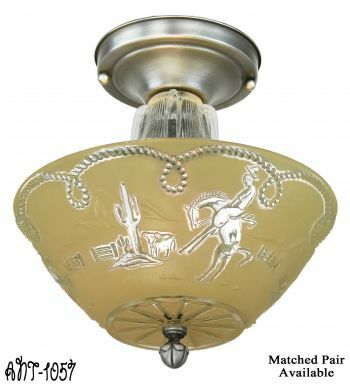 Fixture uses 2 5/8" fitter glass shades . 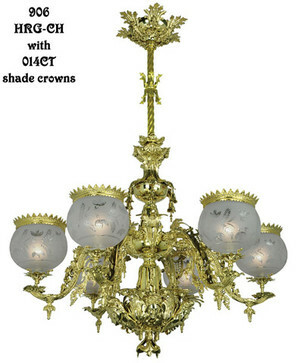 Shades sold separately: now 11 shade choices on the shade page. 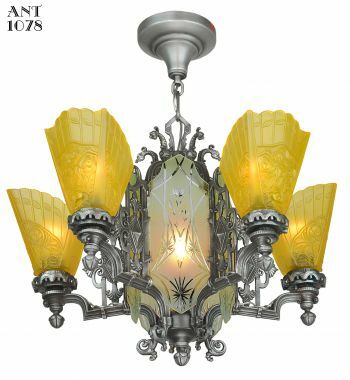 We show a fan design glass shade , an 8" lead crystal hand-blown and cut shade, as a suggestion for perfect ambiance. 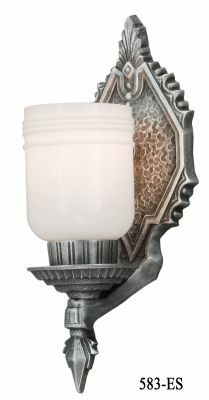 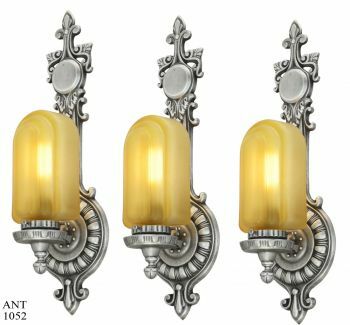 We also offer gaslight wall sconces and bigger chandeliers to complement this suite of Starr-Fellows products. 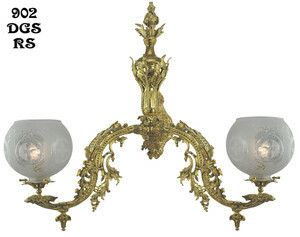 pictured here also are the two-light sconce and the six light chandelier. 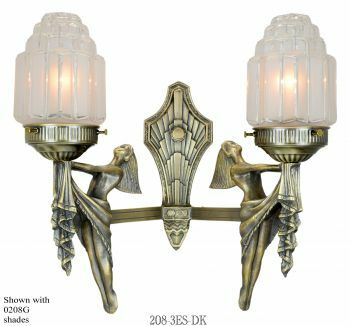 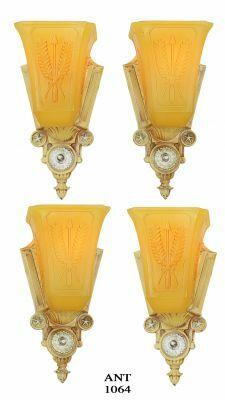 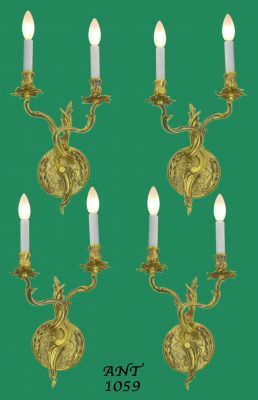 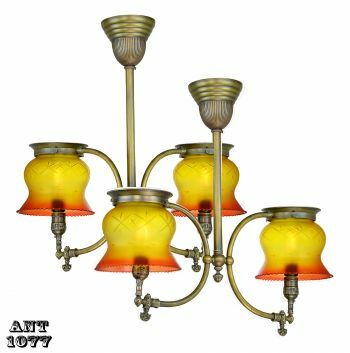 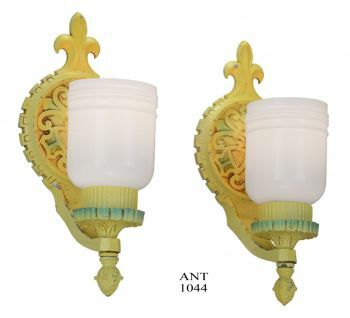 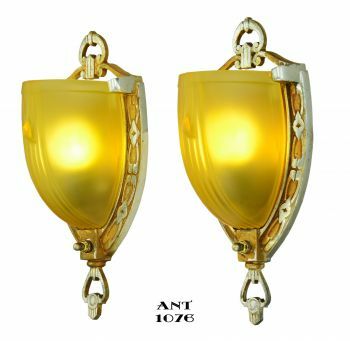 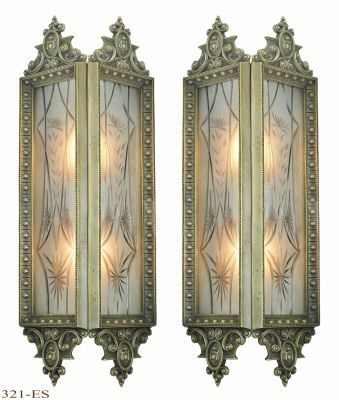 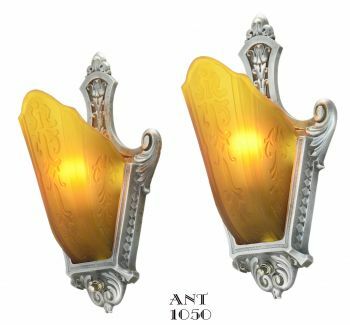 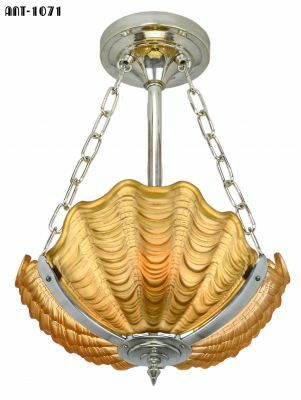 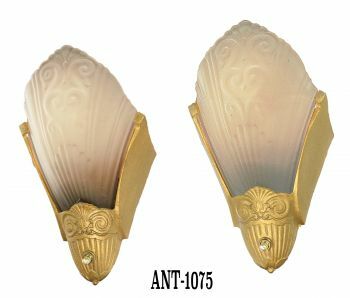 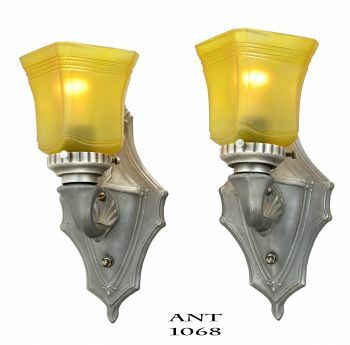 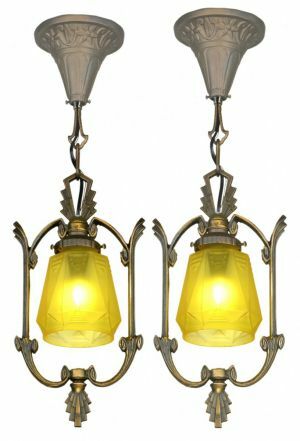 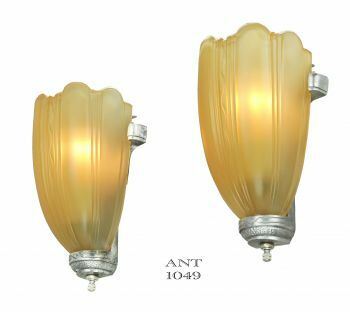 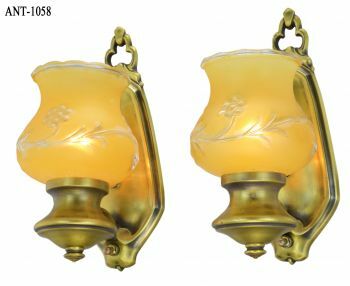 Imagine this two arm pendant in an entryway, with the sconce on the staircase, and looking into the living room where the matching six arm reigns. 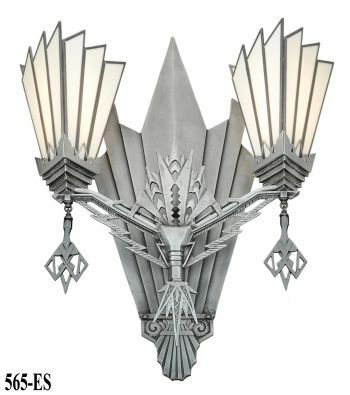 Finally, the crowning glory of the twelve-light chandelier welcomes everyone to the dining room. Height: 56" Can be shortened by 28";spread with shades:36" Need Longer? 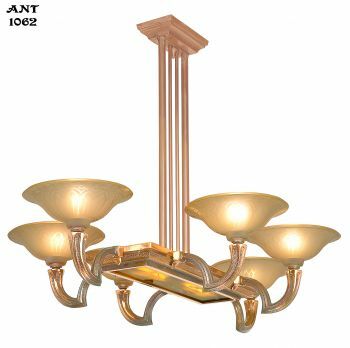 Extension kit 1038-EXT adds 39" for each kit used. 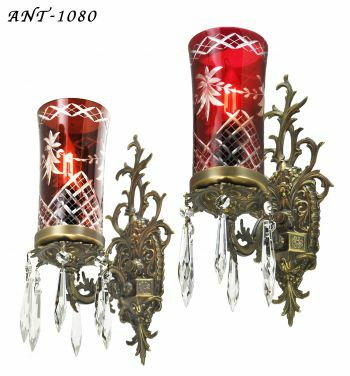 An unlimited number of extension kits can be connected together giving any length. 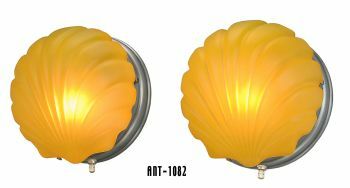 Max 100 watts per shade.